Bret LaBelle finished Survivor: Millennials vs. Gen X in fifth place during Wednesday night's two-hour finale broadcast on CBS. 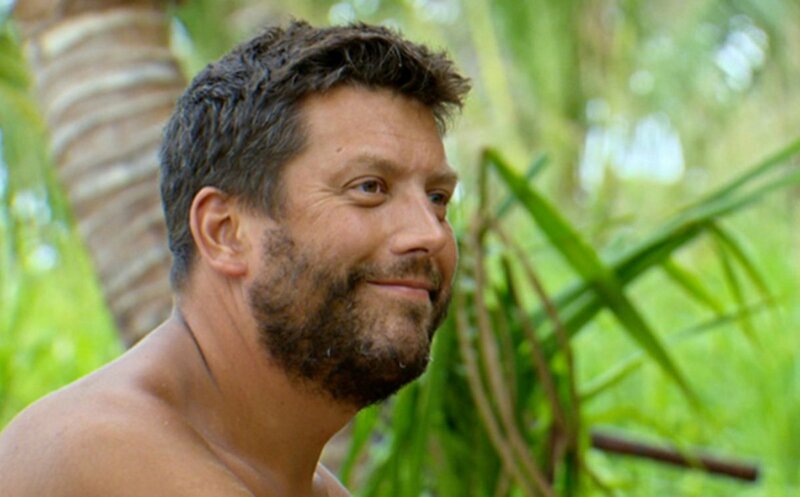 Bret, a 42-year-old police sergeant from Dedham, MA, was voted out of the Vinaka tribe before the Final 4 because no one left in the game wanted to go up against him in the end. Bret was the funny guy in the group, the castaway whom everyone became friends with and grew to love. Bret easily took on roles of "the uncle" or "the brother," and if the jury was bitter, votes would go to Bret to win. Season 33's Final 3 castaways were Adam Klein, Ken McNickle and Hannah Shapiro. Adam ended up winning the game with a unanimous jury vote. In an exclusive interview with Reality TV World on Thursday, Bret talked about his Survivor experience. Below is the first half. Check back with us soon for more. Reality TV World: Why did you ultimately vote for Adam to win? Bret LaBelle: Well, definitely because the kid was deserving. He played a hard game. He made a lot of mistakes but he just, like the rest of us, worked extremely hard to get to the next step. He made friendships and social [interactions] to get him where he's at. I think he was the most deserving of the three that were up there. Reality TV World: When you went home, you seemed to think the vote was going to be between Adam and David Wright. So were you blindsided? Bret LaBelle: Okay so, yes and no. I mean, was it a blindside? I guess, technically you can say it was, because I thought anyone was completely moronic if they didn't send David home at that point. So what happened was, Adam found the idol, okay? He came running back, we whisper at camp, he hides it -- great! Only Adam and I know about this idol. Now I go off looking for wood with everyone else, I come up next to Dave and Hannah, and David looks at Hannah and says, "Does he?" And she says, "He does." And I said, "Uh oh, this doesn't sound too good." So I rush back to Adam and I look at him, and I say, "Did you tell Hannah that you found the idol?" And he said, "Yes." And I knew right then and there I was in serious trouble. It's because I knew the next person they would vote for was me. So I immediately went to Hannah and tried to sit down and explain to her, "Listen, you cannot beat Dave. I cannot beat Dave. Adam doesn't beat Dave. Nobody here, now, today, beats Dave. He has to go tonight." And she's like, [giggling], "I don't know!" And I was like, "No, no. You don't understand. Do you want a million dollars or are you just here to -- I don't know why you're here if you don't want a million dollars. We all like Dave, but we'll see him in two days. Buddy needs to go tonight." So, I knew going in that there was a good shot I was going home. However, I thought there might be some common sense in these college educated people, where they might actually wake up and send the guy that's probably going to win the million dollars home, you know? Reality TV World: So it sounds like you were pretty sure Adam would never play his idol for you? Bret LaBelle: There's no way Adam in the situation that he's in -- which I didn't know about then -- but I knew nobody was using an idol at the Final 4 for anybody but themselves. I really, truly believed that. And, you know, was it discussed? So much was discussed, but I don't think it ever came up. I don't think -- listen, Adam needed to get to the end. We all know that, when you see his story, and I don't think he's going to use [his idol] for Bret LaBelle, you know what I mean? Reality TV World: Jay tried to convince David and Adam that you never would have taken either of them to the Final 3. Is that true? Would Ken and Hannah absolutely have been your Final 3 if you could've had it your way? Bret LaBelle: The dream team. They absolutely would've been in my Final 3. And, you know, my next one would've been Adam, because I didn't know about his story at the time and I believed I could beat him. But yeah, no, absolutely. I thought it was so funny that Hannah said twice on last night's episode, "Bret would never take me to the Final 3." I never (laughs) -- she's the one I definitely wanted to sit next to in the Final 3, because I knew -- not because she didn't play a great game and not because she's not a great person -- but because I knew what the opinion was of the jury. I knew which way they were going to go, and they weren't going to go her way. So, I definitely wanted to sit next to both of them. Check back with Reality TV World soon for the concluding portion of our exclusive interview with Bret LaBelle.